It's Christmas in July at Melloy Dodge! Get the vehicle you've always wanted and get a great deal with it. 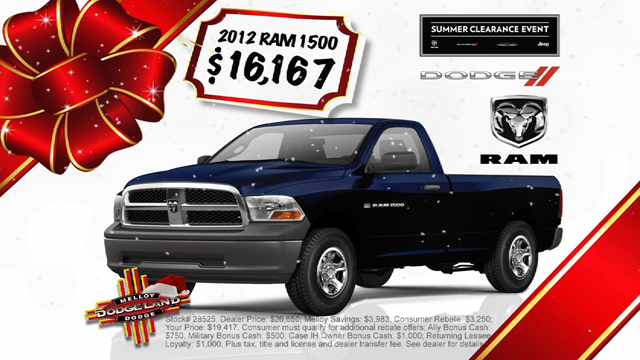 Get a 2012 Ram 1500 for just $16,167! Looking for an Avenger? 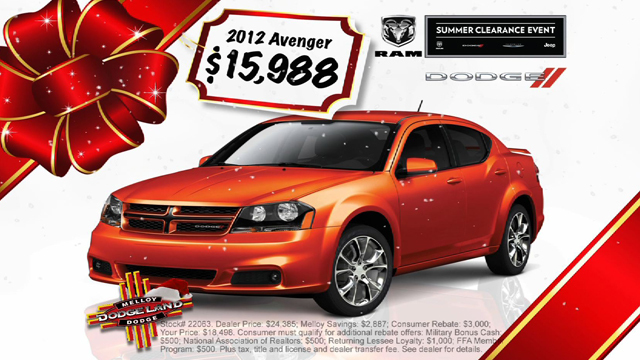 Get the 2012 Dodge Avenger for only $15,988! 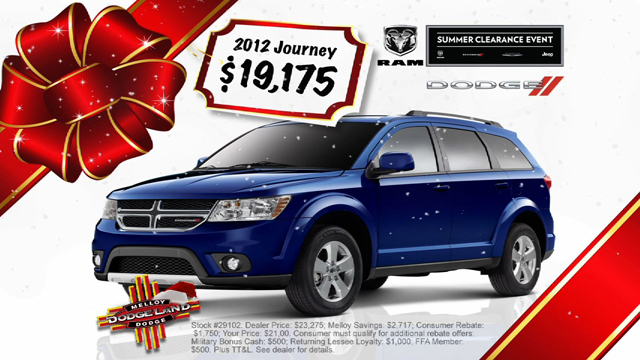 How about a 2012 Dodge Journey, just $19,175! Looking for a family-friendly vehicle? 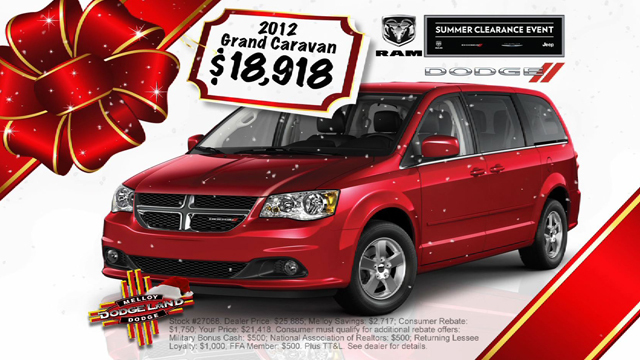 Check out the 2012 Dodge Grand Caravan, just $18,918! Vehicles shown for illustration purposes only. See dealer for complete offer details.